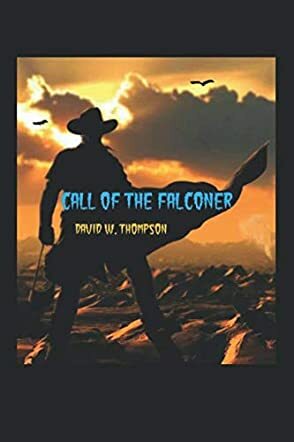 Call of the Falconer by David W. Thompson is a post-apocalyptic story set in a future United States of America. It begins with a perfect storm of things going wrong, that ultimately results in the collapse of civilization as we know it. I am usually more optimistic about how the world will turn out, but having said that, I liked Call of the Falconer. It starts out kind of dark and grim. There’s no denying that. But let’s face it. The darker things are in the beginning of a tale, the more heroic the protagonist has to be in order to overcome all obstacles and set things right. You will find no better setting in which a hero needs to arise than this world created by David W. Thompson. I liked the setting in which Call of the Falconer takes place. It is grim and gritty, but it is very recognizable as the result of mistakes being made in our world today. I found it very believable that some of our friends and neighbors would sink this low in a difficult, lawless time. I also found it just as believable that some people will rise above the chaos and restore human dignity and civilization. I like David W. Thompson’s writing. It fits the tone of this kind of story. I also liked the characters. Jeremy has to endure a lot at a very young age but he is motivated by his intrinsically good nature and his love for his little sister, Alicia. He has the memory of a good strong father and a loving, practical mother to sustain him. The plot evolves around this, and I found it very believable in this fantastic setting. Call of the Falconer is a five-star read in this particular genre.